Pest control is an issue every homeowner should take very seriously. Pest control is a good way to protect your investment in which case negligence to do so will cost you so much in reconstruction. Go The Xtra Mile prides itself in offering its customers with quality, but cheap pest control services. All of us are looking for a good bargain for everything we need. The problem with pest control is that you do not know if the bargain you are getting will help alleviate the problem or you will get a shoddy job done. Nonetheless, you can rest assure with the services we provide at Go The Xtra Mile. For added service and a piece of mind, make sure to also consult with us about our carpet cleaning services. We aware that there are a few pest control companies that offer cheap rates and when they enter your house, you will have to pay an extra for every additional service. It is like downloading a free app on an App Store and then been faced with outrageous prices for in-App purchases. Also, some companies that offer cheap pest control services use very unsafe chemicals to do the job for you. This usually leaves you in a riskier healthy position than you first were before you invited them into your homes. This therefore has made many homeowners very cautious when it comes to bargaining for a cheap pest control service. Nevertheless, at Go The Xtra Mile, we offer quality service for relatively cheaper rate. This is basically because we are a locally family owned and ran business that would like to service every family in the Gold Coast vicinity irrespective of your financial status. We understand the need for homeowners to protect their property from pest that usually leads to very expensive construction costs. Also, we insure all our work and provide a-12-months guarantee on pest control works. 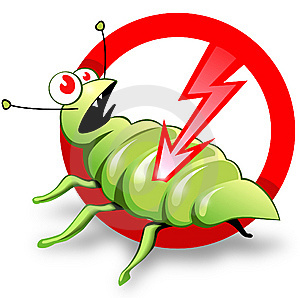 If the pest return within those 12 months, be assured that we will be there to deal with them for you. The uniqueness of our company is based on the fact that we are built on very strong family values of respect, honest, care, diligence and hard work. We take Xtra care of your property while getting rid of the pest in your homes, we spend Xtra time to make sure that all is done right and appropriately, we provide Xtra service for your dollar and we go the Xtra mile for you at no Xtra cost at all. Over the years our core values has made as outstanding among other pest control services in and around Gold Coast. Our customer satisfactory rates are way over the roof. Moreover, we are still in business because of the referrals our satisfied clients have being making on our behalf to their friends, family’s, work mates and others. We keep up with all pest control management plans in the Gold Coast, allowing us to better help create a safe and healthy environment for all our clients. Whenever you have the slightest suspicion of pest infestation in your homes, don’t waste time trying to get rid of it on your own. This is the mistake most homeowners make. They try to get rid of the pest infestation on their own but what they do not realize that they are doing, is that they just kill the few they see without necessarily identifying their habitat and annihilating them totally. Most at times by the time they have finished trying to get rid of the pest on their own, they would have almost spent a fortune, with no results to show for it. This is where Go The Xtra mile comes in, with our fast, quality but cheap pest control that is guaranteed to work with a 12-month warranty. Call us today for a free quote. Our team is made up of expert pest control that has been trained never to cut corners when it comes to providing services for our clients. All our technicians are fully trained and experienced to handle all sorts of pest infestation problems, whether big or small. Also check out our areas serviced to see whether we’re available in your area. Call Us on 0429 110 047 today!